If anyone is looking for a true hero of Canadian basketball in recent times, they should look in the direction of the unheralded Jermaine Anderson. He is, perhaps, consigned to a national team career of anonymity because fans and the scribes will always remember the man who played point guard before him. How many times, even after playing well in big wins for Canada, has Anderson heard Steve Nash’s name? It even happened after Anderson’s finest hour in a Canada jersey last summer at the FIBA Americas Championship. 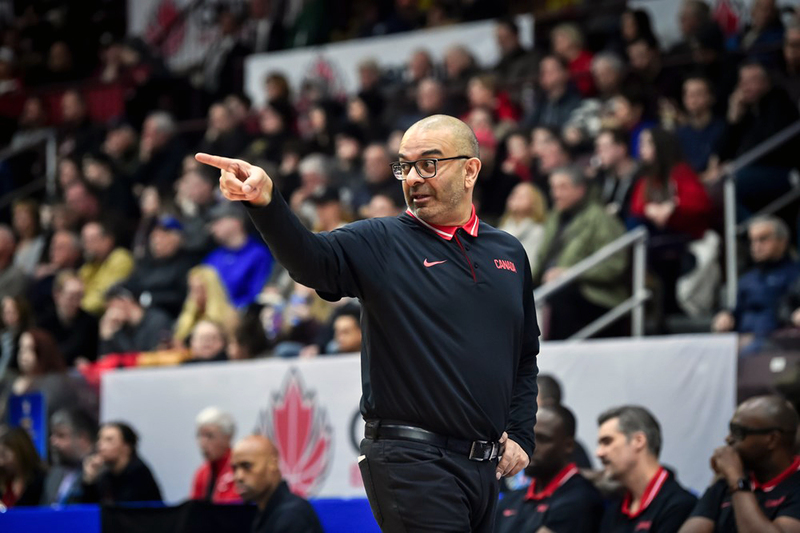 Anderson had led all scorers with 21 points and fired the Canadians to an 80-76 upset of the Dominicans, a victory that clinched a spot at the FIBA World Championship. Yet for one reporter, the question had to be asked of Canada coach Leo Rautins. Will Steve Nash return and play in Turkey? “Steve Nash has had an open invitation,” Rautins said. “Anytime he says he’d like to play for Canada, the door is wide open and we’d love to have him. “But I don’t want to use this opportunity here to talk about Steve. I’d rather talk about Jermaine Anderson, who made the plays, who helped this team get to the World Championship. Anderson is 27 and hails from Toronto. He played college basketball at Fordham University in New York before embarking on a professional career that has seen him compete in Germany, Poland and this season with Cedevita in Zagreb, Croatia. While Nash plays in the NBA, Anderson toils in the EuroChallenge and the Adriatic League. Nash seems to have closed the door on his Canada career, but for Anderson it’s the exact opposite. “Every summer I come out is like a blessing to me,” he said to FIBA.Com, “to have this opportunity and to learn the position as I go. “I was not a natural point guard. Rautins has marveled at Anderson’s ability to grow into the playmaker position. “Jermaine’s been great,” Rautins said to FIBA.com. “He was a shooting guard that became a one for us. Anderson’s been a great example for the young players. “He’ll do whatever it takes,” Rautins said. “He wants to get better. “I have nothing to say but great things about him. “Every summer he is better, smarter. “He’s a great shooter. I’ll never say no to a shot he takes because he takes good shots and makes them. There was unbridled joy for all of the teams that won Quarter-Finals last summer in San Juan. It meant the pressure was off. The number one goal had been to reach Turkey and for those sides that reached the semis, it was mission accomplished. During last summer’s tournament, when Canada were struggling and not looking like a team that might reach Turkey, someone told Anderson to keep his chin up, that he’d done well on numerous occasions for Canada. Anderson thought Canada could have reached the Beijing Games but they didn’t play well enough at the 2008 FIBA Olympic Qualifying Tournament. Instead, Croatia, Greece and Germany took the three qualifying spots and advanced to China. Reaching the FIBA World Championship in Turkey looked even harder when the Dominican Republic showed up in San Juan with NBA players Al Horford, Francisco Garcia and Charlie Villanueva. Everyone assumed they would join Argentina, Brazil and Puerto Rico as the four sides to advance to Turkey. In the four-point triumph over the Dominicans in the last eight, he buried five of eight shots from long range. He also had five assists in the game. “He made some unbelievable plays against the Dominican Republic in the Quarter-Finals,” Rautins said. Anderson is in the prime of his career. He says that the game has enriched his life. “It’s opened up so many doors,” he said. This summer, Anderson and Canada will go up against Spain, France, Lithuania, Lebanon and New Zealand in Group D of the FIBA World Championship. Some will dismiss Canada’s chances, but the team has learned how to fight. Rautins likes to go back and think about the hard times. “At the world qualifiers, when we got eliminated,” Rautins said, “Rock (Anderson) said to me he had been watching Germany play on TV and said it took them 12 years to get there (to the Olympics) with Dirk Nowitzki.